The Essential Psychopharmacology Series represents the very best information and professional support available in the field of psychopharmacology. Stephen Stahl draws on his immense teaching experience to produce a broad range of full colour, illustrated materials for the practising psychiatrist, teacher and trainee. CME self-assessment tests help facilitate the user's ongoing professional development. The series covers every aspect of psychopharmacology, from neurobiology, symptoms and circuits, and transmitter systems, to how the drugs work, how to prescribe and augment them, and how to predict and manage side effects. 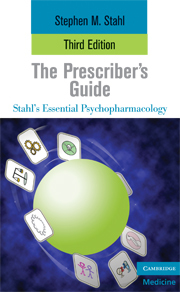 The series is based around the very well-received textbook Essential Psychopharmacology.